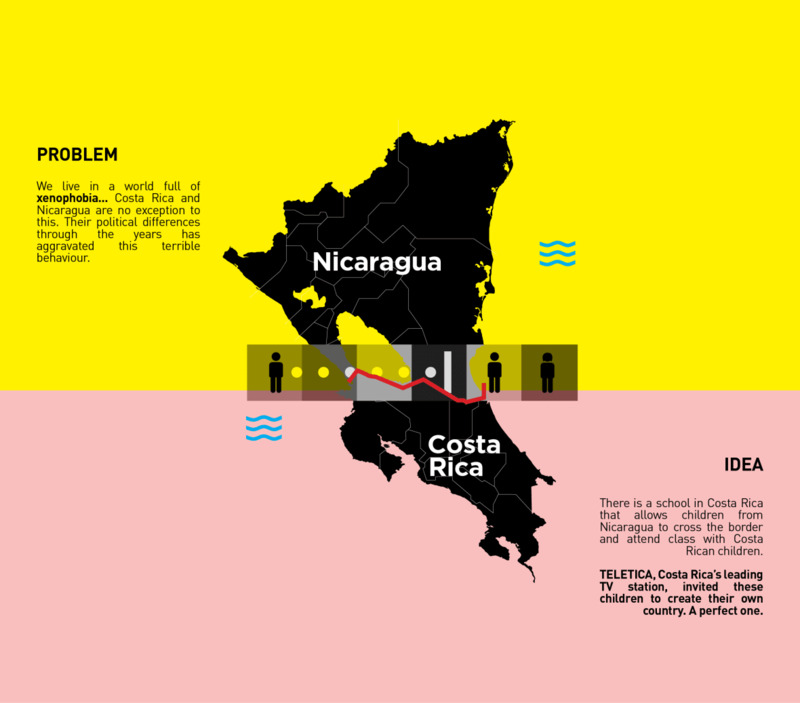 Costa Rica and Nicaragua share a border, but their political differences over the years have caused intense conflict and xenophobia between residents of both countries. But in one pocket of Costa Rica, there is a school that allows children from Nicaragua to cross the border and attend class with Costa Rican children. Teletica, Costa Rica’s leading TV network, turned to the students at the school, a symbol of Nicaraguans and Costa Ricans co-existing in peace, and asked them to create their own country: Costa Nica. The country came with its own motto, coat of arms, symbols, flags, and rights, all created by the children. The students even created their own anthem that was then recorded by two famous singers, one from each country. A one-hour documentary about the project, hosted on Teletica, provoked public discussions on both sides of the border about xenophobia, and a road to unity, love, and respect among Costa Ricans and Nicaraguans.